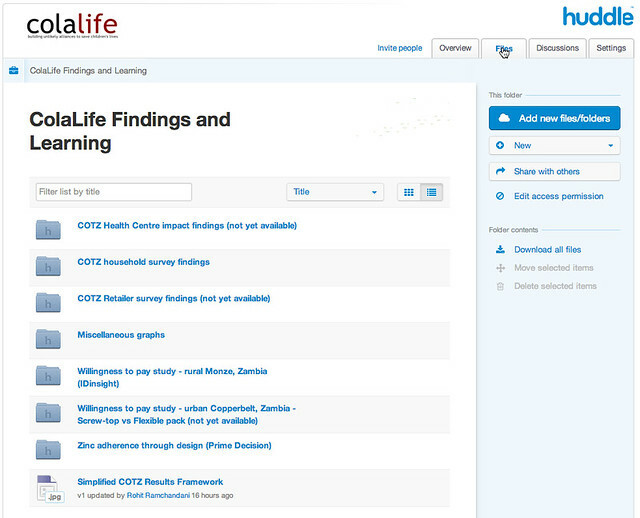 Everything ColaLife is learning and designing is available for free to organisations*. We are following an open source methodology to the sharing of our findings so that we can have as big an impact as possible, as quickly as possible. ColaLife’s approach for global impact is to influence the strategies of the existing big players in child health, including national governments. We aim to generate robust, credible evidence, and innovative and tested designs and approaches, to share with organisations working to reduce child mortality. ColaLife’s strategy is to stay small, flexible and innovative – acting as a catalyst to others and responding to learning quickly – rather than aiming to grow significantly. Growing an organisation takes time and resources. We believe that the organisations are already in place to do what needs to be done (our multi-sectoral partnership approach has been fundamental to this strategy). But they need evidence to act. National governments, policy makers, public health practitioners, national and international NGOs, funders and other key stakeholders are influenced by what is published in peer-reviewed journals, so this will be a key dissemination channel for us to use. However, this process can take time to get results out. So, while we pursue the peer-reviewed journal route, we are also releasing our preliminary results, designs and learning immediately under a non-disclosure agreement. This will allow organisations to use our results straight away, as needed, ahead of peer-review journal publication. Where necessary, Rohit, Jane and I will also be available to support those seeking to apply ColaLife’s learning in their own circumstances, and provide additional detail as required. If you would like access to our trial results, designs and learning so far, please complete the form below and we will send you our non-disclosure agreement. On receipt of the signed NDA, you will receive an email from us with instructions on how to access the documents containing our preliminary findings. These documents are held in a secure area on our Huddle project management system. This will allow us to support you with updates to the documents as these emerge and notify you when new documents become available. * Sorry – we cannot release findings to individuals at this stage.